Today we welcomed fund raising from 'New steps for First steps' to our school. This charity has very kindly raised £700 for our school sensory room through bag packing at local supermarkets. 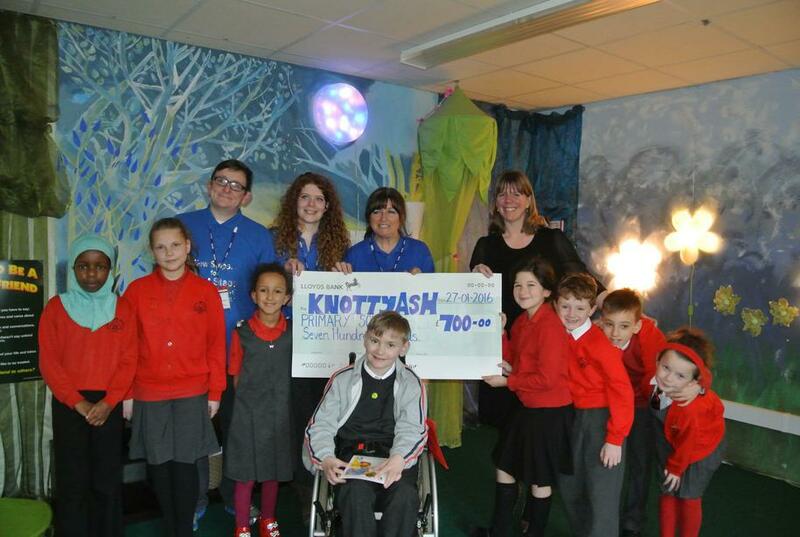 You can see them presenting Ms Clements- Bedson and some of Knotty Ash children with a cheque in the photo below. We would like to thank all of the volunteers from New Steps for First Steps for raising this money for us.